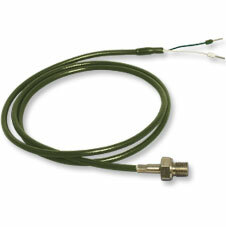 Omega’s pipe-plug probes provide reliable service in environments with high vibration and shock. Designed specifically for pipe fitting, they are also used in many other applications, such as sump temperature monitoring. Popular configurations are shown in the to-order table below. Please refer to the pdf data sheet for the full range of options available, and contact our sales department to order.